Provides both essential and branched-chain amino acids, and is formulated with supplemental amounts of l-ornithine, l-carnitine and l-lysine as well as the metabolic cofactor, Vitamin B-6. 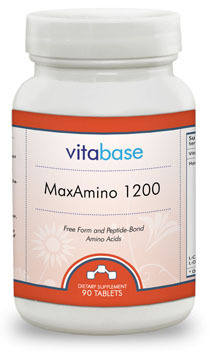 Supports heart health and circulatory system health. As a dietary supplement, adults take two (2) tablets, three (3) times daily between meals, preferably prior to or immediately after exercise or as directed by a health care professional. Store in a cool, dry place and away from direct light.